Dr. Allan Pyke has extensive training and many years of experience working with children and developing good oral hygiene habits that last into adulthood. As a specialist in pediatric dentistry, he is able to meet the needs of young patients in a way that is relatable, comfortable, and fun! There is no other practice whose doctors provide the personal attention you'll find at Pyke & Galletto and Associates. We go the extra mile to deliver the best possible care to our young patients. We know that a child's first experience at a dental office will shape their view of dentistry for the rest of their lives. It is always our goal to show children that there is nothing to be afraid of! Our staff's priority is to make your child's visit fun and enjoyable. They are here because they want to be part of your family's special journey towards beautiful, healthy smiles! Our team treats every patient like a member of their family. They are a caring, attentive group of professionals, and are always available to answer any questions you may have about your child's care. 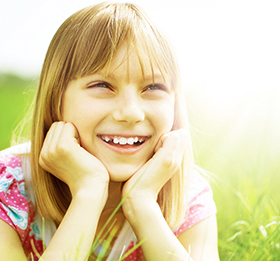 We value the benefits of pediatric dental treatment, and we want all patients who need care to be able to afford it. Our insurance and financial coordinators will work with you and your budget to find a solution that works for your family.